everaging the supremacy of Google, the dexterity of free open source and the power of the Open Handset Alliance, Blackberry app development platform has become the talk of the town. At AITS, we have a cream of Blackberry App developers who deliver Blackberry App solutions that surpass your expectations. Our team of developers is well-acquainted with C, C++, Java, Blackberry SDK (Software Development Kit). Our unparalleled technical expertise enables us to build feature rich Android apps in a cost-effective manner. Blackberry has proven as a boon for many businesses to smoothen their way of communication and fasten the business data transfer. We offer custom Blackberry app solutions for businesses of all sizes and domains. We have one of the most talented team of Blackberry developers in the India that thrives on their immense technical knowledge and creative sticks. 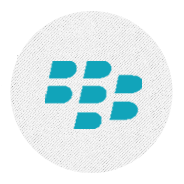 Our custom Blackberry applications are compatible with all Blackberry devices including Blackberry Pearl, Blackberry Curve, BlackBerry Strom, Blackberry Bold and Blackberry Torch.